You're a part of a co-op. Your reliable and affordable electricity comes from Southeast Colorado Power Association working together with their power supplier, Tri-State Generation and Transmission Association. Collaboration is part of our DNA. 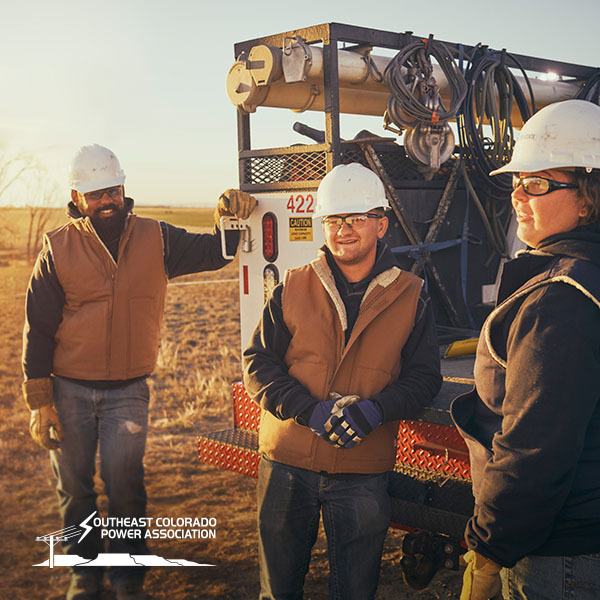 Our family of not-for-profit electric cooperatives, including Southeast Colorado Power Association, leverages our combined resources and knowledge - giving us the stability we need to succeed when it counts for you. By working together, we also have a stronger voice and are able to adapt to a changing marketplace. We care about making a brighter future for you and your community so you can enjoy all the moments life has to offer. We are brighter, stronger and better together. Learn more about your electric cooperative, Southeast Colorado Power Association.